unique throws are made from an innovative fabric called MicroPlush™. Denali® throws bring the consumer a new level of warmth and softness. Give the gift of a Hug™ Each throw is reversible with the pattern on one side and a solid color on the back. The edge is detailed with a coordinating blanket stitch. 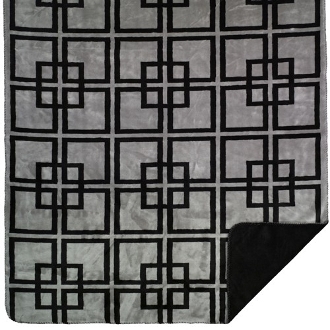 Sizes:Throw 60" x 70", 50' x 60"